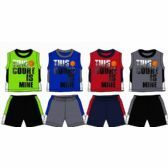 Welcome to the best collection of low-cost, high-quality wholesale boys shorts on the web. 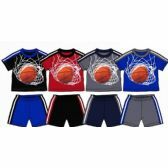 Whenever you are looking for wholesale children’s clothing in bulk, the best place to come for wholesale boys shorts and all your wholesale children’s apparel is Wholesale Sock Deals. We have an amazing range of boy’s shorts, boy’s swimsuits and boy’s swimwear here for you. We have some great wholesale bargains for you to pick up. 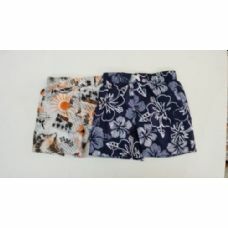 We have the lowest wholesale prices on toddler boy swim trunks, boys board shorts and wholesale toddler shorts. We have the biggest discounts on wholesale swim trunks and wholesale children’s swimwear. Wholesale Sock Deals is the number one of swimwear wholesale suppliers. We always have the best prices on wholesale children’s clothing in bulk. 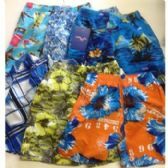 Whether you need wholesale boy’s shorts, Walmart swim trunks or blank swim trunks wholesale, no other wholesale swimwear suppliers can match our big bulk discounts. We have summer season discounts available all year round on wholesale children's swimwear at Wholesale Sock Deals, so grab yourself a boy’s fashion wholesale bargain! 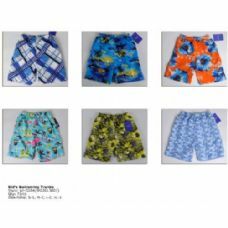 From toddler swim trunks to bulk kids shorts and wholesale boys board shorts, the best prices on wholesale boy’s shorts are always right here! 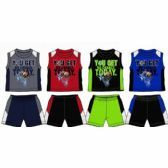 We know that kids will love our bulk boys California shorts, and mom’s will adore our toddler boy wholesale shorts, so take your pick of the best wholesale boy’s shorts collection on the web and place your order today. 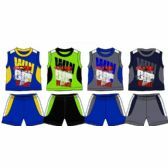 Order your boy’s wholesale shorts now and start saving money today with Wholesale Sock Deals! If you are looking for a bargain on all your wholesale children’s clothing in bulk, then wholesale boy’s shorts will just be the start. You can get massive bulk discounts on all your boys fashion wholesale and wholesale children’s clothing in bulk when you buy your wholesale apparel at Wholesale Sock Deals. 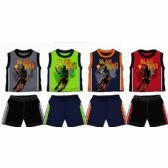 Buy your wholesale toddler shorts, boys swimwear and bulk kids shorts at Wholesale Sock deals and you are guaranteed to get the highest quality wholesale children’s swimwear at the lowest wholesale prices. We are the number one swimwear wholesale suppliers of toddler swim trunks, boys board shorts and blank swim trunks wholesale on the web. Stock your store with the best quality wholesale boy shorts on the market and your customers will be coming back for more. Other wholesale swimwear suppliers simply can’t match our wholesale children's swimwear prices! When you order your toddler boy swim trunks, Walmart swim trunks or bulk boys California shorts, we will deliver your order to your retail store or warehouse for free. One case of toddler boy wholesale or a truck load of wholesale swim trunks and wholesale boys board shorts; delivery is always free when you buy from Wholesale Sock Deals. It’s just one of the reasons that so many retail stores buy all their wholesale apparel from us. You can’t buy quality boys swimsuits and boy’s shorts cheaper than this anywhere else, so don’t waste too much time looking! 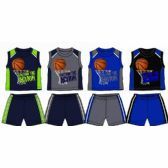 Get the best wholesale prices on boy’s shorts and on all your low-cost boy’s clothing. Place your order now with Wholesale Sock Deals!